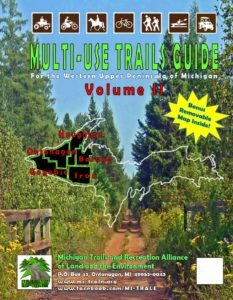 Michigan Trails and Recreation Alliance of Land and the Environment, commonly known as MI-TRALE, is an alliance of multiple trail and outdoor recreation enthusiasts. 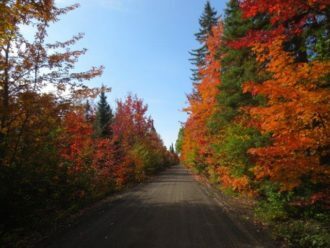 Our Mission is: To advance the safe and responsible use of multi-use trails for both motorized and non-motorized trail recreationists, by working towards the development, designation and interconnection of multi-use trails in the Western Upper Peninsula of Michigan. 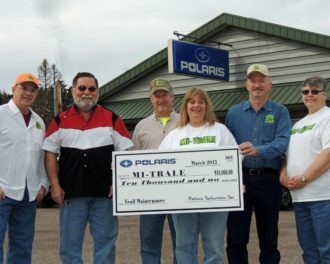 MI-TRALE was founded in June of 2001 to band together both motorized and non-motorized trail enthusiasts who valued their environment and worked to carefully develop trail opportunities in the Western Upper Peninsula (UP) of Michigan for everyone to enjoy. 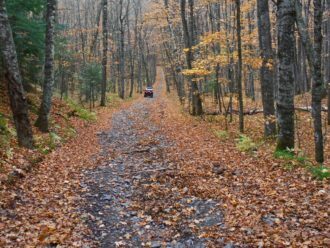 We started with less than 100 miles of trails in the entirety of the Western UP, and due to dedicated club members diligently working in concert with the Ottawa National Forest (ONF), the Department of Natural Resources (DNR), Private Land Owners, elected State and Local officials, as well as many others, we are now responsible for maintaining over 585 miles of trails! 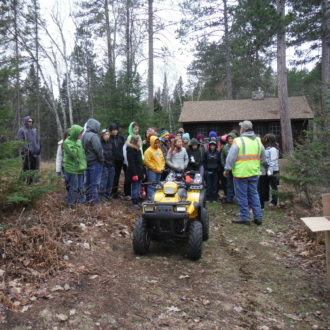 ORVs, Horses, Side-by-Sides, ATVs, Motorcycles, Kayaks or Canoes…Do you ride any of these? If so, then MI-TRALE’s Guide book is for you!